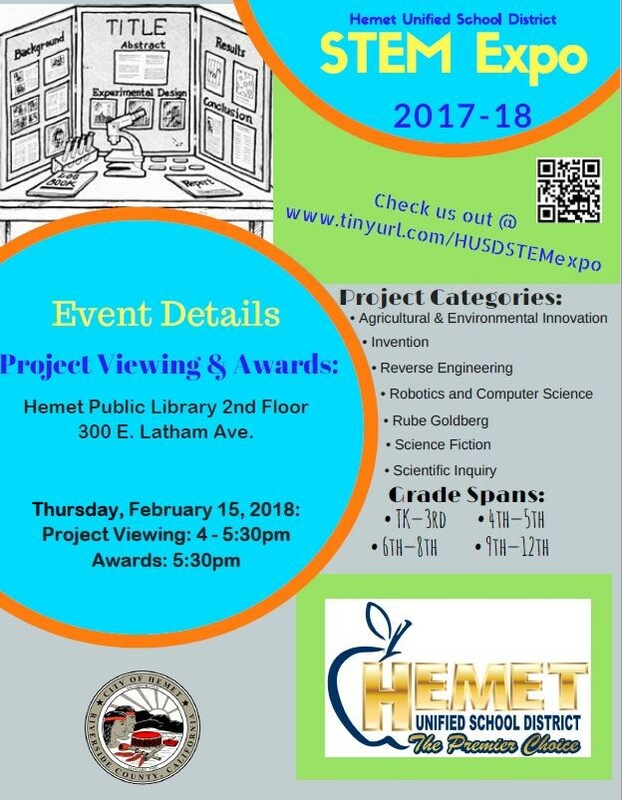 On February 15 the Hemet Public Library will host the Junior Scientists of HUSD who will be featured in our 3rd Annual STEM Expo. Formerly known as the District Science Fair, this event gives K-12 students the opportunity to showcase projects they have been working on. Projects will be judged by a select panel from various sites within the district. 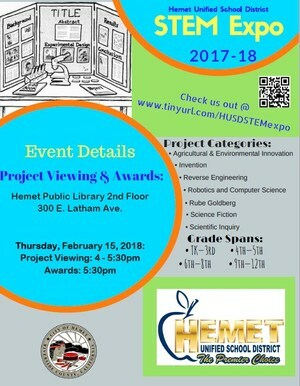 The winners will represent Hemet Unified in the Riverside County Science & Engineering Fair to be held in March. Families are invited to attend the evening event to view the projects (4:00-5:30pm). Best of luck to all of our participants!